Once a year, at Kartik Purnima, the full moon in the October-November lunar month, there are festivities in honour of the god Brahma. 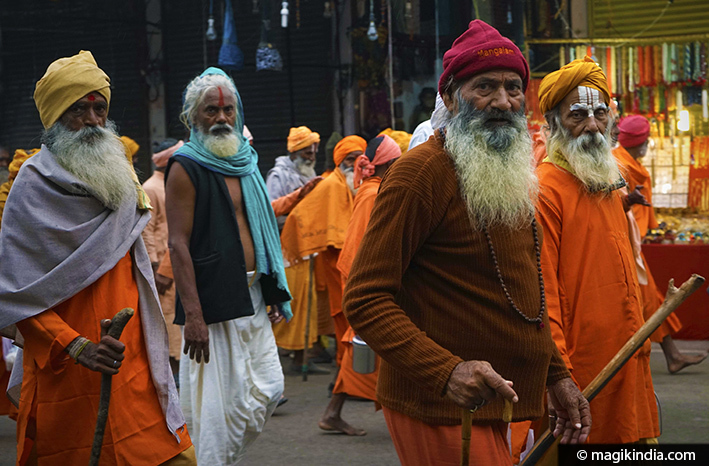 Thousands of pilgrims come to make offerings at the sacred lake in Pushkar and to pray at Jagatpita temple. 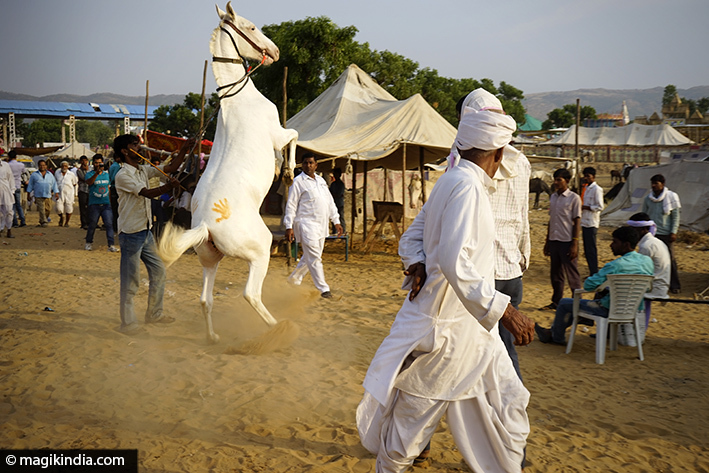 This is also the occasion for one of the biggest livestock fairs in India: the famous Pushkar Camel Fair or Pushkar Mela, which attracts flocks of tourists and photographers from all over the world. The date of the fair is approaching. 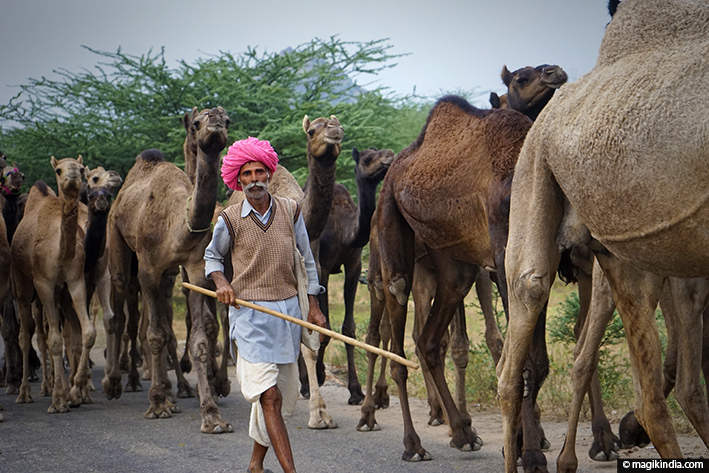 Weary camel drivers hurry their herds along the roads towards Pushkar. Some have walked for hundreds of miles. They gather on Pushkar’s great dusty esplanade and put up the tents where they will live for the next month. 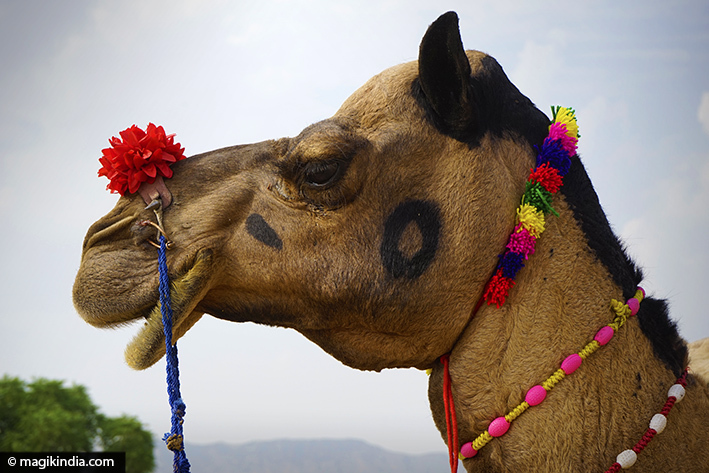 Bought and sold here are the finest camels in India as well as horses, sheep and other livestock. 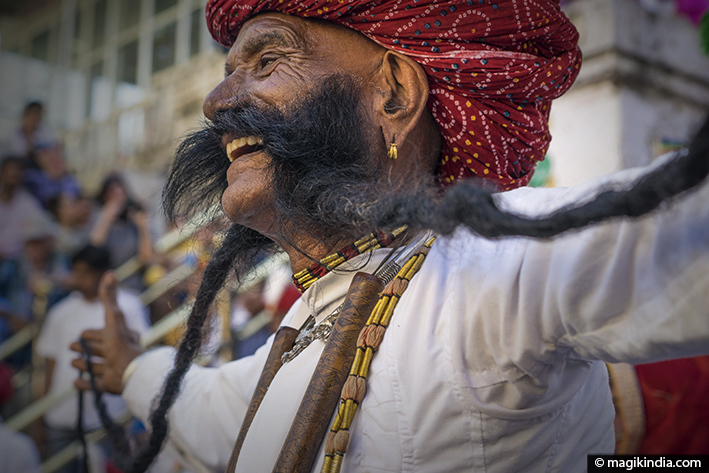 The fair is also the occasion for typical Rajasthani folk festivities such as camel decoration contests, horse and camel races and a competition for the longest moustache. There are also magnificent concerts beside Lake Pushkar. Although it is rather tourist-y, this fair is something to experience at least once in your life to soak up the culture of these desert folk.